Happy Black Friday! But more importantly…Happy Gilmore Girls Release Date! Have a great weekend binge watching the four episodes. 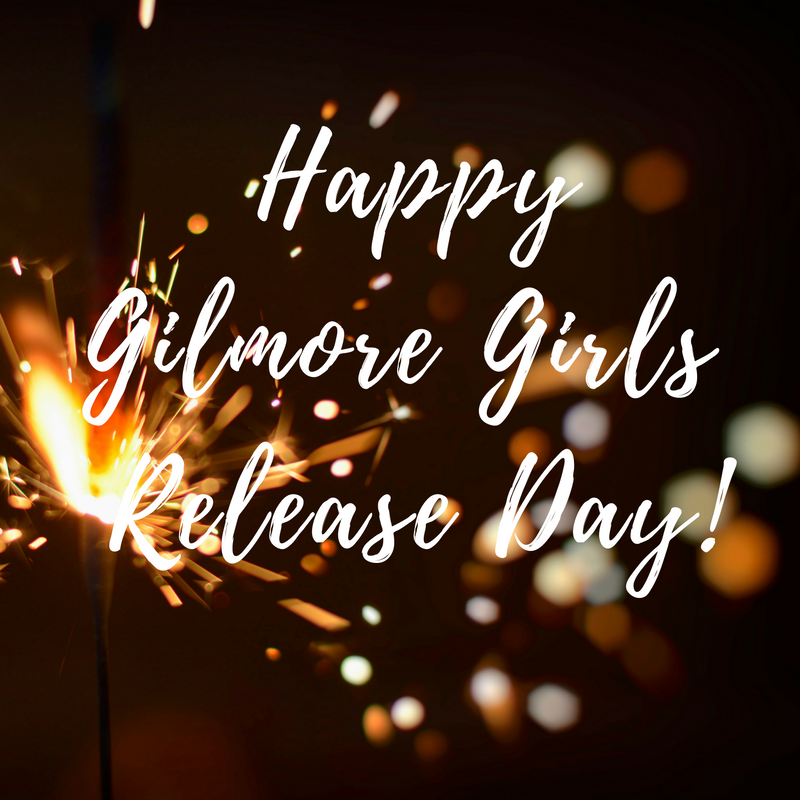 In honor of the release, I’ll share a few of plans for my Gilmore Girls binge watching party! We will watch all 4 episodes in one afternoon/evening. Comfy clothes are encouraged. Guests are asked to bring their favorite junk food, since it wouldn’t be a Gilmore-style movie night without junk food. We’ll make homemade mini-pizzas AND order Chinese takeout. And, of course, we’ll serve coffee. We’ll have the playlist from our Luke’s Diner experience playing in the background. I’m sure we’ll have more ideas after I binge watch the episodes this weekend. What other things should we have as a part of our viewing party?